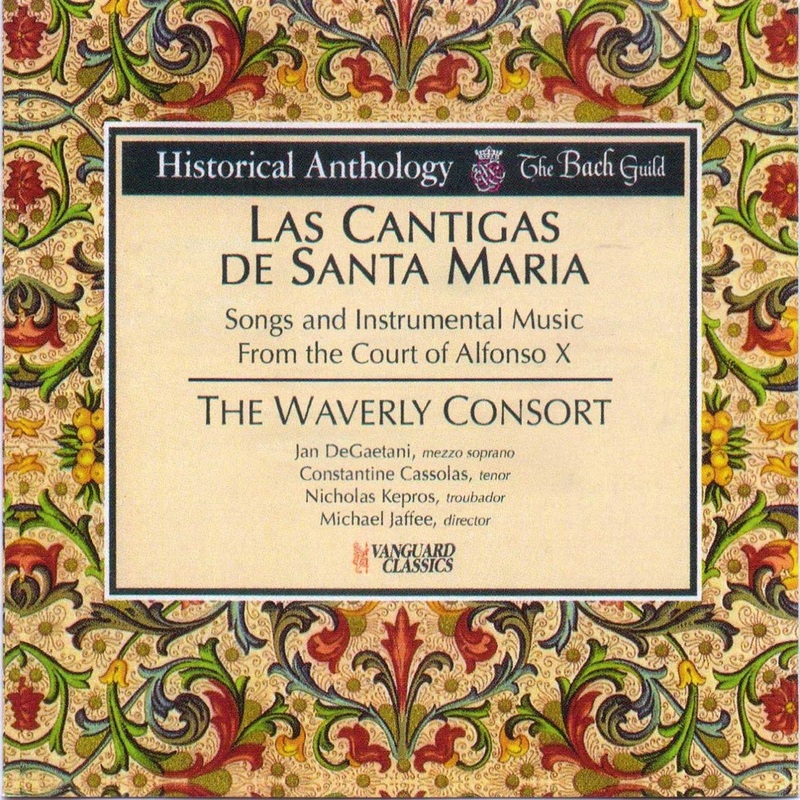 THE WAVERLY CONSORT is devoted to the recreation of the music, dance, drama and related performing arts of the Middle Ages, Renaissance and Baroque. 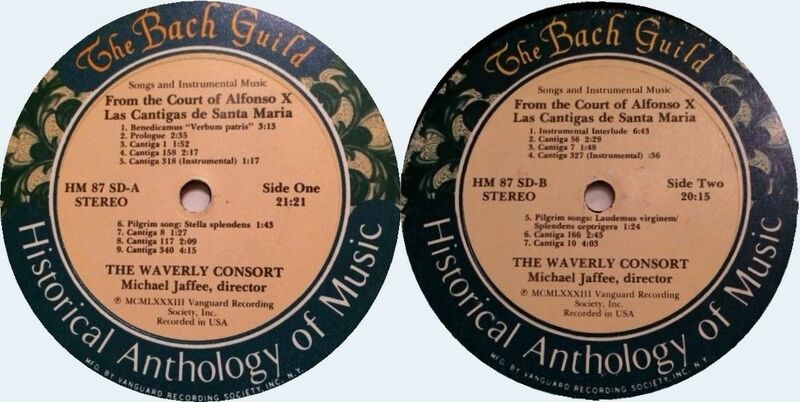 Since its organisation in 1965, the Consort has presented programs of consistently excellent musical content, performing with the highest artistic standards on the best historical inssruments available. 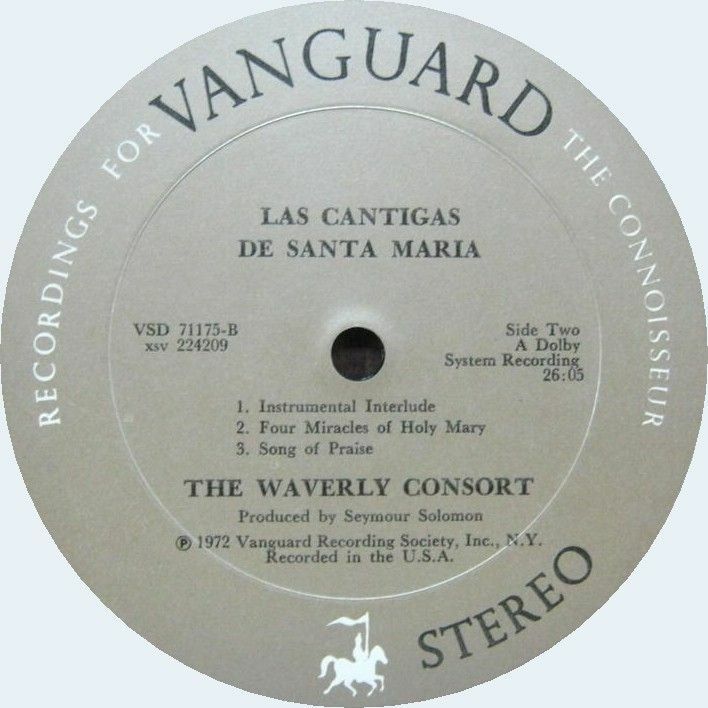 The Waverly Consort has toured the United States several times and has been received enthusiastially on campuses and in communities all over the country. 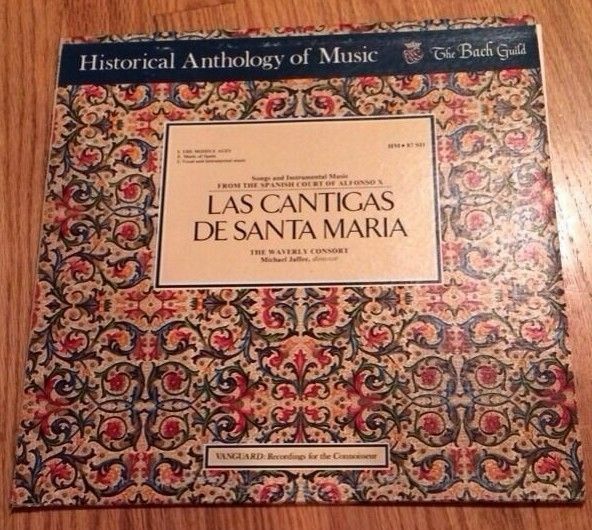 Las Cantigas de Santa Maria is their first recording. 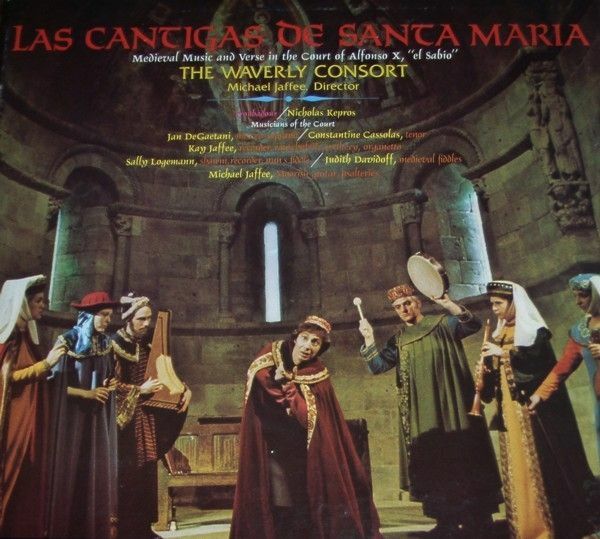 Cover photo by William E. Watson, taken in the Fuentidueña Apse of the Cloisters of the Metropolitan Museum of Art. Copyright 1972 Vanguard Recording Society, Inc.